As seen in "STEP BY STEP WIRE"! 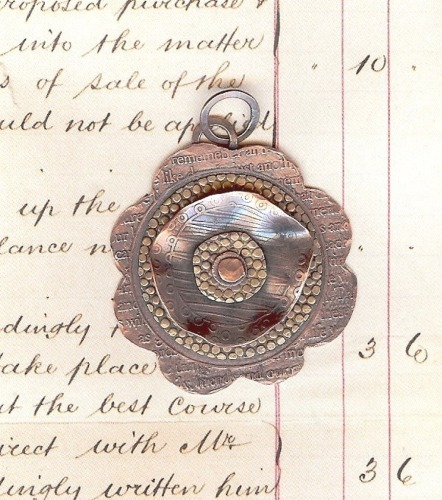 Copper and brass alternate to create this textured flower pendant that is ready to be strung onto a chain or incorporated into a piece of your own. The pendant measures approx. 1 3/4" in diameter. Chains are available. As Seen in "STEP BE STEP WIRE"! 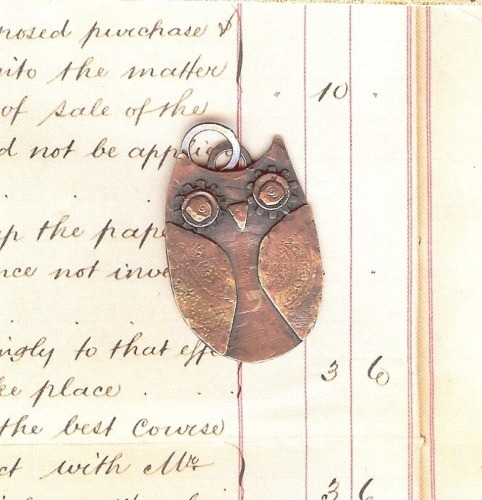 These little owls are made up of etched copper pieces that have been hand cut and soldered together, also cold-connected. A patina has also been applied by hand to give an aged look. Chains are available.